It is no doubt that as companies expand, risk, fraud, and compliance can become major issues. This has caused an increase in the use of risk, fraud, and compliance recruiters to help fill company openings. According to a recent report conducted by the Association of Certified Fraud Examiners (ACFE) 2014 global fraud study, on average, organizations lose 5% of revenues as a direct result of fraud. To make the losses even more staggering, 22% of these incidents resulted in losses of over one million dollars for companies. There is no doubt if a company wants to be able to compete in an increasingly expanding marketplace, hiring the best talent, and keeping them there, can reduce losses. By doing this, your employees will be less likely to engage in fraud, will be more productive, and be more attuned to compliance regulations. Here at Go-Impact Payments Recruiting, we have been risk, fraud, and compliance recruiters for over a decade and have worked with prestigious payments companies, If there is one thing we have learned during this time as a risk, fraud, and compliance staffing agency, it is the importance of retaining talent, as a way of decreasing costs and increasing revenue. Losing employees, especially in management level positions, can cost companies a fortune. If you are seeing a high turnover rate at your company, chances are it is a company problem, and not an employee problem. 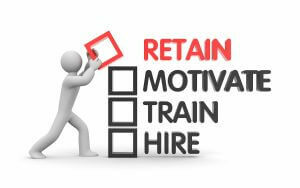 For the success of your company, it is imperative that you work on employee retention for a variety of reasons. For one, a happy employee is less likely to engage in fraudulent activity, more apt to follow compliance guidelines, and more likely to increase productivity, leading to lower risks and higher profits. Many companies struggle with problems associated with risk, fraud, and compliance, and it is causing payments companies a myriad of problems. After years of working closely with businesses, as a leader in risk, fraud, and compliance staffing, we have accumulated a vast array of data that we have used to help leading payments companies retain employees, and increase the value of their businesses. The research does not necessarily demonstrate happy employees engage in fraudulent behavior less frequently. The research does, however, say that happy employees produce more. Increased productivity means increased profits, which indirectly cuts losses, and helps to retain employees. In a study conducted in Britain by the Social Market Foundation, results showed that productivity increased by an average of 12%, and at times reached 20%, when employees were happier. The study chose employees randomly, and gave them snacks and drinks, or had them watch a comedy clip. These employees showed substantially better productivity than the control group. A recent study conducted by Harvard researcher, Tatiana Sandino, shows that paying workers well, keeps them happy, and may decrease the risk of fraud. Employees receiving higher pay tend to have a positive view of their employers, and want to do a good job, as a direct result. They also want to hold onto their jobs, since being paid well is an opportunity they do not want to lose. However, these statistics are dependent on the awareness of your employees. When it comes to job satisfaction, having an increased salary is relative. 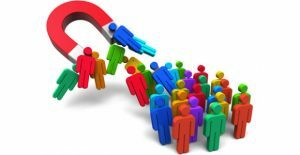 If your employees are acutely aware of the competing job market, then having a higher salary increases job satisfaction, improves employee retention, and lowers theft. If they are not aware of the average salaries of similar positions, it may not have any effect. In the current state of affairs, obtaining information regarding competitor wages is more readily available than ever, and it is likely your employees are aware of these statistics. At the end of the day, employees feel more secure and comfortable when there are clear-cut boundaries. If you are able to communicate to your employees what it is you expect from them, and consequences for certain behaviors, employee satisfaction is likely to go up, and employee retention rates are bound to improve. Your employees, in most cases, want to advance in your company, with the main incentive being increased pay. Just as you want your business to increase revenue and profits, employees want to make more money and get to positions of higher status and prestige within your company. If you are able to communicate to your employees how it is that they can advance, and then follow through, employees will feel a sense of empowerment and control over their career, resulting in increased employee retention. Did your employee do a great job? Let him know about it. And the same goes for things that were not done correctly. You need to believe that your employees want to do a great job, and, if they are not, show them how. People enjoy feeling competent at work. If you can give them positive feedback, along with constructive criticism, you will increase job satisfaction, reduce potential fraud, increase compliance, and reduce overall risk for your company. As millennials infiltrate the marketplace, they crave something more than an income. Reports show that 50% of millennials would take a pay cut if it meant finding a job that matches their values. In addition, 90% of those surveyed, said they want to make a positive impact. As the baby-boomer generation gets closer to retirement, millennials are going to be making up a large portion of the workforce. To attract and retain the best talent, it is vital that you appeal to the quintessentially millennial desire of wanting to make a positive difference.